Stencil Revolution is a family-owned operation based out of Spring Hill, Florida. You can rest assured that you will receive personal service from the heart when you purchase products from Stencil Revolution. Every cent that you spend stays in the USA, helping people live a simple life with purpose. Stencils allow you to place your creativity into any art form you desire. Whether writing something encouraging on a home or office wall, customizing a pumpkin for Halloween, or using fabric paint to create a personal tote bag, you can choose the colors and designs you love, and put your own personal stamp of the things that surround you. Possibly the best thing about stencils, is that you can use them over and over again! You can easily wash your stencils after each use, then use them other places to create more beautiful masterpieces around you. The process of stenciling was even used by cavemen. They would spray pigment around their hands to create people, animals and other objects. Stenciling has been used as a historic painting technique on all kinds of materials and were probably used to color cloth for a very long time. It's a creative and easy way to give objects a fun and unique look. They were used on playing cards and to illustrate books for many years as well. Stencils are frequently used by official organizations, including the military, utility companies, and governments, to quickly and clearly label objects, vehicles, and locations. Stencils for an official application can be customized, or purchased as individual letters, numbers, and symbols. This allows the user to arrange words, phrases and other labels from one set of templates, unique to the item being labeled. When objects are labeled using a single template alphabet, it makes it easier to identify their affiliation or source. So as you see, stencils can be used for many purposes, and on many objects. Bring some life and beauty to the things that surround you by stenciling. Stenciling produces an image or pattern by applying pigment to a surface over an intermediate object with designed gaps in it which create the pattern or image by only allowing the pigment to reach some parts of the surface. 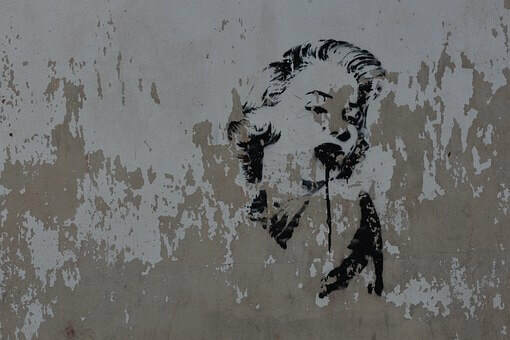 The stencil is both the resulting image or pattern and the intermediate object; the context in which stencil is used makes clear which meaning is intended (from Wikipedia). Stencil Revolution is your "go-to" place for stencils. They have a huge variety of categories, too, such as military stencils and animal stencils, as well as symbols, letters, numbers, nature, sports, people, and many others. Whether you are seeking religious stencils, word stencils, flag stencils, or something else, you will likely find them at Stencil Revolution. Featured here are categories of stencils available on stencilrevolution.com. They have an awesome selection to choose from! ​Personalize a nursery, classroom, backpack, or anything else you desire, with stencils from Stencil Revolution. They offer a great selection of categories for just about any kind of stencils you desire. The stencils you receive are top quality and the company is known for their excellent customer service as well. Create artwork for yourself, as gifts for others, or as crafts to sell...all with stenciling. You can offer that personal touch that everyone loves and longs for, so brighten up the world around you, and get creative!